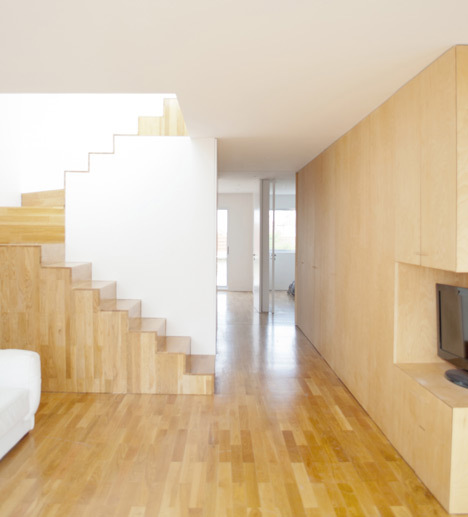 Architects OODA have recently renovated a flat in Porto by adding a suspended hammock above the main staircase. There is plenty of room on this hammock for a couple of people. You can access this from the first floor landing and sliding doors open on to a terrace which faces a view to the sea. In addition, they have also added wooden floors throughout the entire two-storey flat. The wooden floors seamlessly fit the entire flat, however I think following them up the side of the staircase is a bit much – suspension would have been more minimalistic and fitting with the modern interior. Following OODA Architects phenomenal idea for the Busan Opera House (photographed below), this small interior seems insignificant. However, it’s all about the ideas, not always the outcome. In my opinion, OODA’s thoughts are exquisite and have reflected upon their largest of projects. What are your opinions and thoughts on OODA Architects? 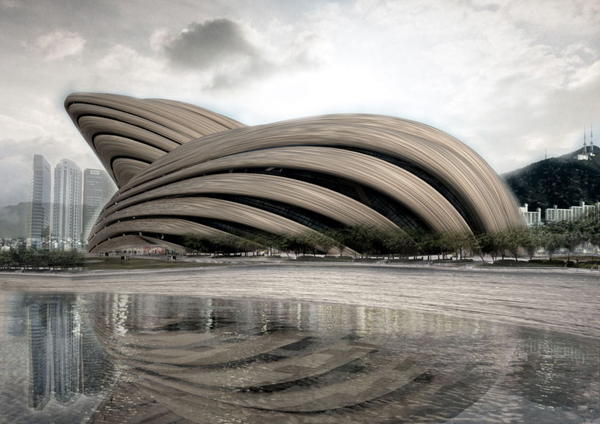 This entry was posted in Interiors, Residential and tagged Architects, Architecture, Busan, Busan Opera House, Dezeen.com, Interior Architecture, Interior Design, Interiors, Opera House, Opinions. The suspended hammock is such a genius idea!